Interests:Macross, Firearms, Mecha, Sci-fi. Anime, Blades, Machines[ing], Continuing my own existence. Get yours while they're hot! Wait, I thought the Frontier version was called the ADVANCE a la the Bandai toy. I'm guessing they changed it in canon? Also, I'm still gonna get it, but do the packs look off to anyone else? Are those two small bits forward of the shoulders present on the YF? Yeah. I think the /A still meant ADVANCE. Those shoulder bit should be up to the shoulder joint pivot like in the DX figure. Hasegawa's has it more longer. Location:A rock in the middle of an ocean! Are those two small bits forward of the shoulders present on the YF? Hasegawa has taken liberties before *cough*TVSDF-1*cough* so it's not a huge surprise. Thanks for the pic, wmkjr. I totally forgot about that scan. It seems the shape of the Hasegawa kit's implementation is completely wrong, too. Shame about that, but I suppose it doesn't matter much regardless of which version you're hoping to build (VF-19EF/A because it had such limited screen-time, or YF-19 because those parts don't exist on it). guess it's a good thing I didn't pay the $100+ asking prices on certain online sites. Don't do this, Hasegawa. Don't do this to me. I only have so much money. it says VF-19EF, but checking the limited release model kit before, the overall shape of EF is too different from Advance. Yeah, I'm not sure if the name is supposed to be "you can build either the VF-19A or the VF-19EF" (which could be true for the former as its differences are internal, but not for the latter as it has very obvious external differences from the YF-19/VF-19A airframe) or "you can build the VF-19EF/A, which is the new name of the VF-19ADVANCE, and either has nothing to do with the VF-19EF at all or was heavily modified from a VF-19EF." I suppose that second possibility makes more sense, and the second possibility within that makes most sense given the production history of the VF-19EF. Isamu takes an existing VF-19EF from SMS, modifies it to look like the YF-19/VF-19A and incorporate VF-25 Super Packs, and the resulting custom gets re-designated the VF-19EF/A (for Advance). In that regard it's like a VF-19ACTIVE? Both are singular, ace custom modified VF-19EFs, but whereas the ACTIVE simply gets called the VF-19ACTIVE, the Advance keeps the VF-19EF name, just appending /A to it. 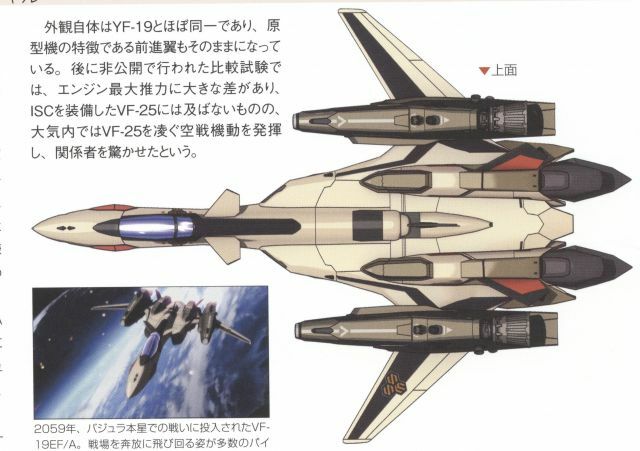 Yeah, as far as I'm aware, the backstory of Isamu's ride is that it's a heavily modified/customized VF-19EF model like the others owned by SMS. Isamu made the tweaks specifically to restore it back to the shape of his original YF-19, and restored some of the original high performance features that were nixed for mass production. Hence, it's an "advanced" version of the EF model. Glad to see they molded the shoulder packs correctly though. Wish Bandai had cared about that more, and bothered to do something with them besides have them snap on. so which storyline is this one featured in? Macross Frontier. A brief cameo appearance in the movie Sayonara no Tsubasa. You know what though, Hasegawa hadn't released a Macross Plus YF-19 with fast packs yet. Just leave off the wing boosters and new shoulder packs, and that's pretty much what you have here. Looking at those forward shoulder parts again, are they supposed to be missile launchers like the ones that hang from the top chest/shoulders on the VF-25? On the DX Advance they're just depicted as armor pieces, but the line art (more so the Hasegawa one than the CG model profile) suggests a door with a hinge on the back... I doubt they would articulate, though. Maybe they'll provide options to build them closed or open... if they're even missile launchers at all. I think they're supposed to be missile packs, but I can't confirm. if they are missile pods, it would be nice to be able to open them up. They'd need to be hockey puck micro-missiles to fit into that shallow a space though. Here's TREX's take (For the Arcadia YF-19). Ok dumb question here, but are you purchasing just the Fast packs or is this for both the VF-19 & the Armor? 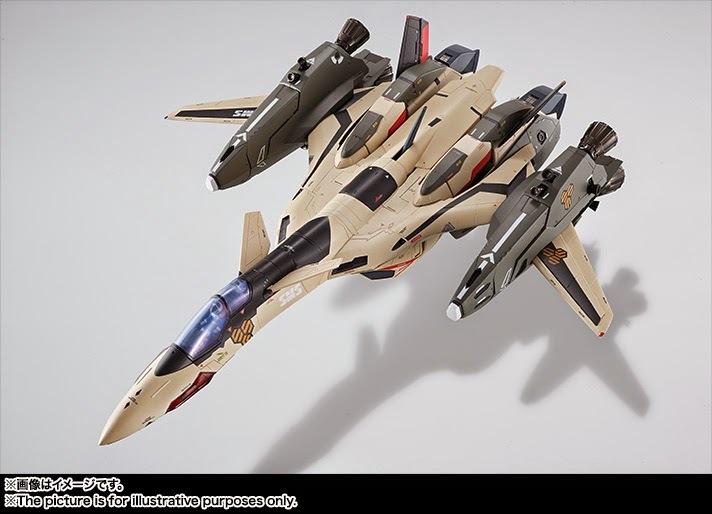 I hope it's like the VF-25F/S Super Messiah and includes both. Agreed. Think of this as a limited edition kit similar to the "VF-0A/S w/ Ghost" that is getting a re-issue. It's an existing mold (1/72 VF-0S or YF-19) repackaged with new parts and/or decals (Ghost + 0A head; Fast/Advanced Pack) to make a new kit. 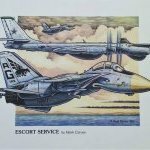 Hasegawa often re-releases scale aircraft kits in this limited edition fashion to account for various countries' various squadrons' various markings. Damn that looks nice. The only modelling I've ever done is Gunpla though, and I didn't paint those, just panel line and do dry transfer decals. I should also mention that the VF-25F/S Super Messiah (and G and RVF kits as well) seem to be regular releases, not LE kits, which means they'll be seeing more regular production runs. The regular G and RVF were LE releases. Hope they make a 1/48 version as well. 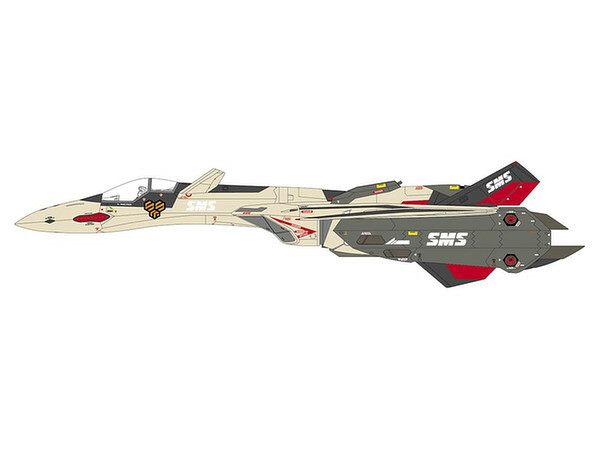 Then I have a reason to get the 1/48 Strike/Super VF-1S/A as my ultimate Valk Fighters. So do I, if for no other reason than to match with my 1/48 YF-19. Judging from the photos showing the sprue and parts, Hasegawa can easily swap out the wing booster sprue for a fold booster conversion like in Macross Plus episode 4! Come on Hasegawa! Do it! Went ahead and preordered 3 of these kits. Between this order and the 3 re-issued VF-0A/S + Ghost kits and my 1/48 VF-1's, I have plenty to keep me busy for a while. Why 3, if I may ask? 1 for Isamu's VF-19EF/A, 1 for the YF-19 with Fastpacks from Macross Plus, and one for a custom Paint scheme VF-19EF/A. For the price I figured why not, plus after owning the Bandai DX toy the VF-19 looks awesome with the boosters! I plan on making one as Isamu's VF-19 while the other two will most likely be Low Vis paint schemes. Either a US Navy style or similar to the VF-25 Cannon fodders. Recycling the VF-25 pilot figure?